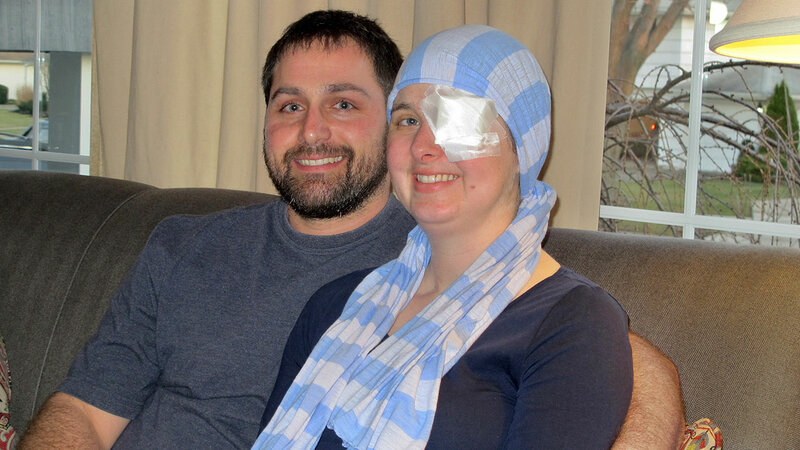 TONAWANDA, NY -- For Kim Vaillancourt, pregnant while staving off aggressive brain cancer, it comes down to this: "The baby saved me. Now it's my turn to save him." Kim had surgery to remove the tumors, but now, to give the baby they've named Wyatt Eli the same chance he gave her, she is postponing any follow-up chemotherapy and radiation to avoid threatening her developing child. It had already been an eventful time in the Vaillancourt home in the Buffalo suburb of Tonawanda. 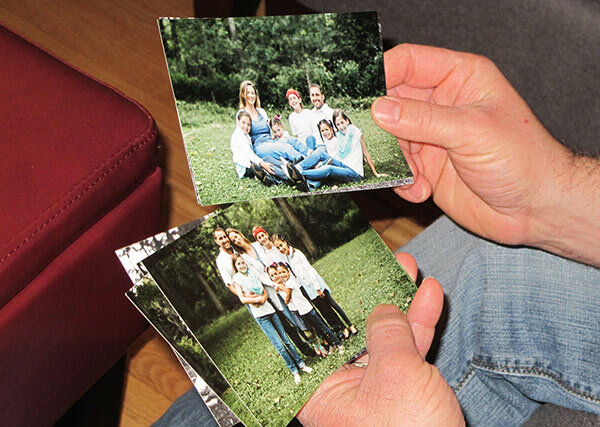 The couple and their 11- and 12-year-old children had spent Dec. 23 in Erie County Family Court for an adoption ceremony that made three sisters- ages 6, 7 and 10 - the couple had been fostering permanent members of their family. 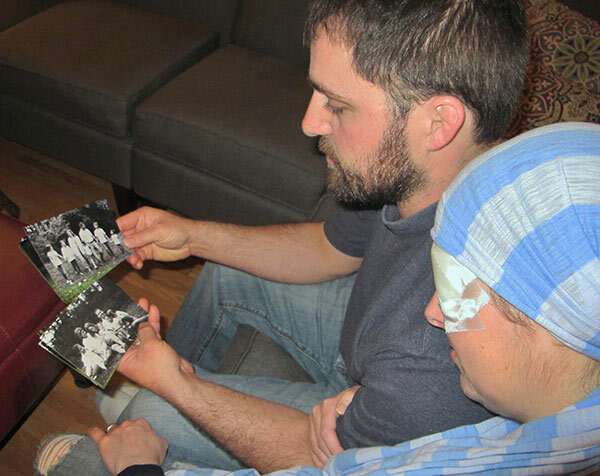 In this March 11, 2016 photo, Kim and Phil Vaillancourt look at family photos at their home in Tonawanda, N.Y.
"I would have just thought I had a headache and the flu and I would have laid in bed," the 36-year-old mother said. But since she was about halfway through her pregnancy and worried that being unable to keep food down was keeping the baby from getting the nourishment he needed, she headed to the hospital to be checked. It's something the health-conscious Kim, with her focus on vitamins and nutrition, would never have imagined. She laughs while describing her longstanding practice of texting as far away from her body as her arms will allow and says the family's kept the microwave oven in the garage for the last 10 years, even though there's no scientific proof that either cellphones or microwaves raise the risk of cancer - and her fears are unfounded. Said Phil: "We definitely believe in miracles."